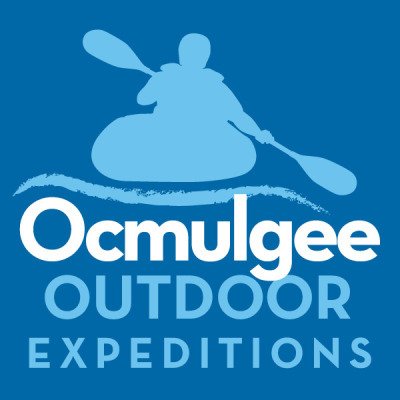 If you like to buy local and float local, Ocmulgee Outdoor Expeditions needs your help! Please sign and share this petition today! Tell the Macon-Bibb Commissioners you want Macon's local businesses and business owners to serve citizens and visitors at Amerson River Park. The Commissioners will make a decision on Tuesday, August 2nd at 6:00 at the Macon-Bibb County Government Center (formally known as Macon City Hall) at 700 Poplar Street. Macon-Bibb County will soon award one company the right to be the sole company offering inner tube, canoe and kayak rentals in Amerson River Park. One local company, Ocmulgee Outdoor Expeditions (OOE), bid for the right, and an out of town company from Buford, north of Atlanta, also bid. OOE is owned by a longtime Macon resident and taxpayer. With fewer than three warm weather seasons under its belt, OOE has already built a great track record of outstanding customer service and safety. OOE's bid proposal includes much more than river tube, canoe, and kayak rentals that provide local citizens and tourists the opportunity to see our beautiful city from the Ocmulgee River. OOE has partnered with the Altamaha Riverkeeper to provide boats and inner tubes during the Riverkeeper Rally for the last two years, as well as providing boats, at no cost to citizens of our county, for the Grand Re-opening of Amerson River Park. Working with local businesses including Bike Tech, Apparel Authority, Oconee Outfitters, Macon Beer Company, Reeves, Roland & Abbott Insurance, Vineville MiniStorage, Anytime Anywhere Truck Repair, OOE has plans to make Amerson River Park a year round destination for residents and visitors. Bike Tech, a Macon business with a long history of great service, has already agreed to work with OOE to make bike rentals in Amerson River Park available. OOE will partner with Oconee Outfitters to offer canoes and kayaks for sale. Orienteering workshops, free yoga classes for kids, and adventure races in the winter months, led by OOE, will provide families with more opportunities to enjoy recreation at our county's new park. OOE has an excellent safety record and requires that all who tube, canoe or kayak wear a life jacket. OOE also has an excellent record of customer service and can provide pages of glowing reviews praising the service and staff. Having a location onsite at Amerson River Park will allow locally owned Ocmulgee Outdoor Expeditions to expand our inner tube, canoe and kayak rentals to Macon-Bibb citizens and tourists. If awarded the bid, OOE will also offer shuttles for paddlers who own a boat but don't want the hassle of setting up their own shuttle with numerous cars, or who are solo paddlers. In its bid, OOE promised to make available a bus that will run between the North and South Access at Amerson and provide a shuttle service to those with their own tubes for the minimal cost of $1.00. OOE is a good local business ambassador to park visitors; we already pick up anyone who is walking from the South to the North and gives them a ride for free. Thank you for supporting Ocmulgee Outdoor Expeditions and our locally owned business partners. Shop Local, Float Local!